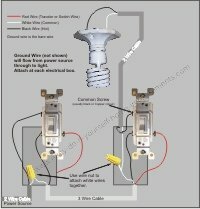 Learning how to wire a split receptacle is the natural progression from wiring a plug. This project does involve a little more skill and electrical know-how. 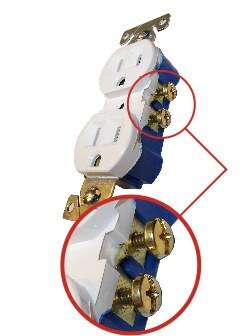 When wiring a plug, you only need to use 14/2 or 12/2 wire. This wire has a black, white and bare wire in it. 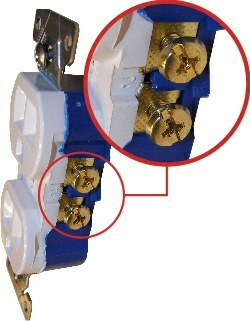 For split receptacle wiring, you will need to use 14/3 or 12/3 wire. It has the same wires as the regular plug but now there is a red wire in the mix. Turn the power off before starting this or any wiring project. Although cheaper, it is not a good way to get a new hairstyle. 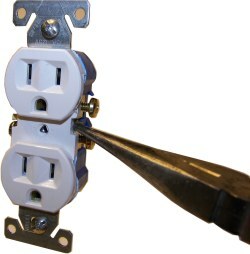 A split receptacle also requires a 2 pole breaker. 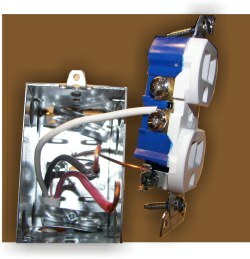 This style of breaker enables the receptacle to have independent power on the top outlet and the bottom. I cover installing a breaker in a panel on another page. Click here to learn how. Grab the tab with a pair of needle nose pliers and bend the tab back and forth until it breaks off. 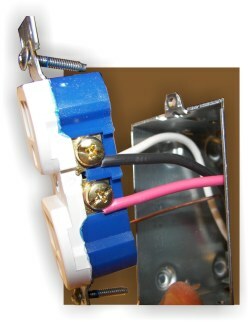 With this little tab removed, you can now start wiring a split receptacle. Thanks for the electrical tip on split plugs. After changing all the plugs in my kitchen, there were two that kept tripping the breaker after they were wired... I didn't see that they were split before the change... checked your site and finished the job without a problem. First thing to to is attach the ground wire (bare wire) to the box and"pigtail" the ground to the plug. 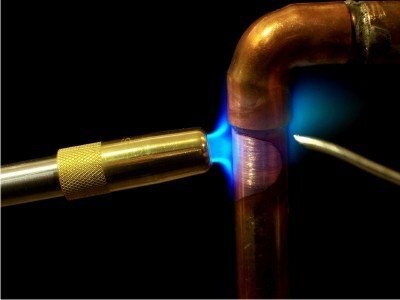 The next step in how to wire a split receptacle is hooking up the "hot" side. You will see that the black and red wires still need to be attached. Since both of these wires are now "hot", attach one to the top screw and one to the bottom screw. It doesn't matter at all which one goes where. Note that I wrap the wires "clockwise" around the screws. This makes connecting the wires a lot easier as the screw actually tightens the wire as you turn it. If you wrap it counterclockwise, you will be fighting it... try it, you'll see. Now all you have to do is push the wires in the box, screw in the plug and put on the cover plate. Turn the power on and test it out. 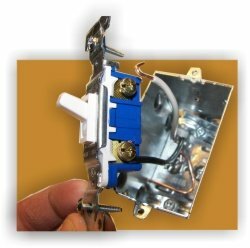 You can wire one side of the plug to a switch if desired or leave it as is so you can plug higher amp drawing appliances in without a problem. So that's how you do it. Not too bad, eh? You are becoming quite the handy-man...er...woman...um...handy-person? 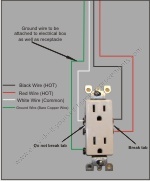 Click on the diagram to see a helpful wiring diagram on how to wire a split receptacle.